If you’re trying to eat healthy, coming up with easy meals that will actually satisfy your cravings can be hard. These 11 recipes are exactly what you’ve been looking for since they’re fast, delicious, and totally healthy. Preparing these meals in the morning and digging in at lunch will help you stay satisfied and on track all day. 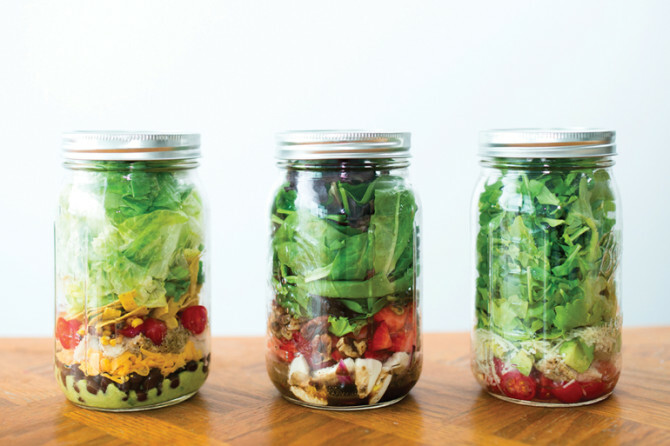 Preparing a quick lunch for at work or between classes is as easy as throwing some greens and your favorite salad toppings into a mason jar. A good rule of thumb for making healthy salads is to include one of each of the following: a dark leafy green, a grain, a protein, an extra veggie, and dressing. For a delicious and healthy Mediterranean-style salad, try combining arugula, cooked quinoa, sun-dried tomatoes, basil, feta, and a simple dressing of olive oil and balsamic vinegar. This dish looks, tastes, and sounds much more expensive and complicated than it actually is. If you’re craving something warm and creamy, but still healthy and fuss-free, you need to try this soup. Throw a can of Campbell’s Condensed tomato soup (and a can-full of water) into a blender and add an avocado, some fresh basil, garlic powder if desired, and olive oil. 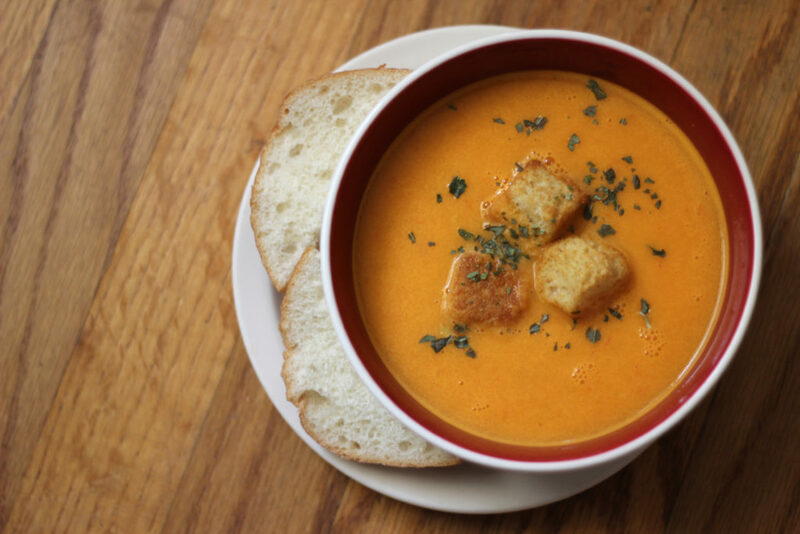 Blend it up and heat in a saucepan for a thick, creamy, delicious soup that only takes 5 minutes to make. And did I mention it’s also vegan, low-carb, and full of healthy fats and vitamins? Just about anything can go into a taco if it’s seasoned correctly, and squash is no exception. 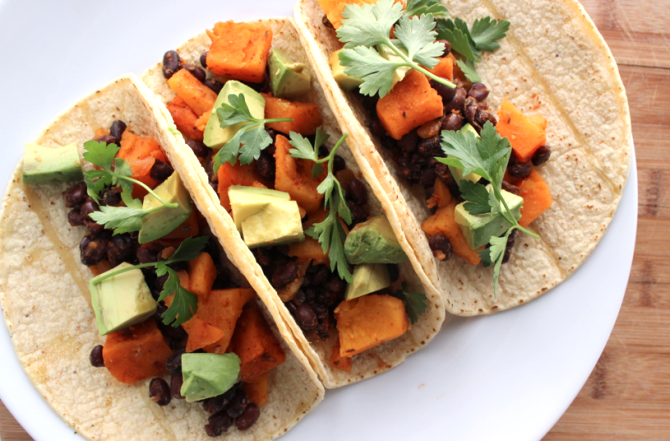 Heating squash and sweet potatoes until tender takes just a few minutes in the microwave, and when you add avocado, taco seasoning, and black means, you have a yummy taco lunch that’s as healthy as it is delicious. Check out the full recipe here. Store-bought curry simmer sauces (aka curry in a jar) are the busy college student’s best friend since they allow you to turn your leftovers into delicious curry in five minutes. If you have leftover vegetables, grilled chicken, or tofu in the fridge, just toss it into a pan with about 1/4 cup of curry sauce, simmer, and serve over rice. This one’s a no-brainer. 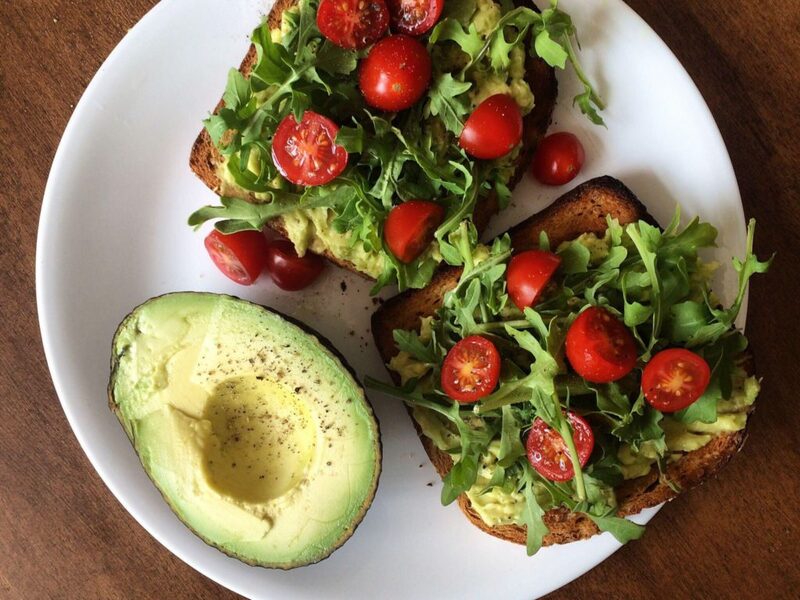 Avocado toast is fast, easy, healthy, and probably the most delicious and satisfying lunch ever. Make sure to use whole-grain toast and pile on extra veggies for a hearty and healthy lunch. 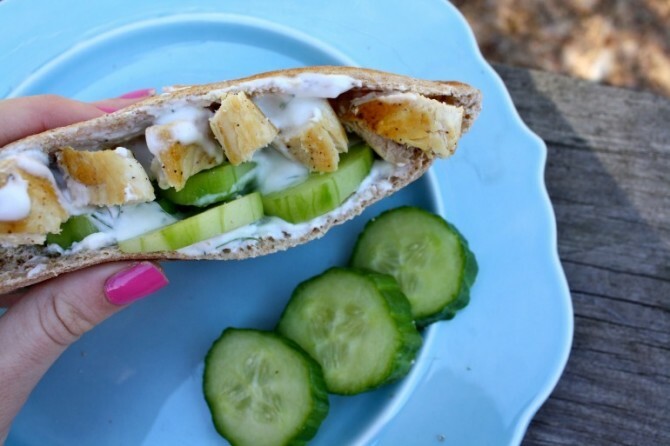 This 5-minute pita pocket is loaded with healthy ingredients like detoxifying cucumbers and yogurt-based dill dressing, making it a perfectly portable healthy lunch. Get the full recipe here. If you’re craving sushi, but don’t have the money to carry out or time to learn how to roll it yourself, try the deconstructed version. 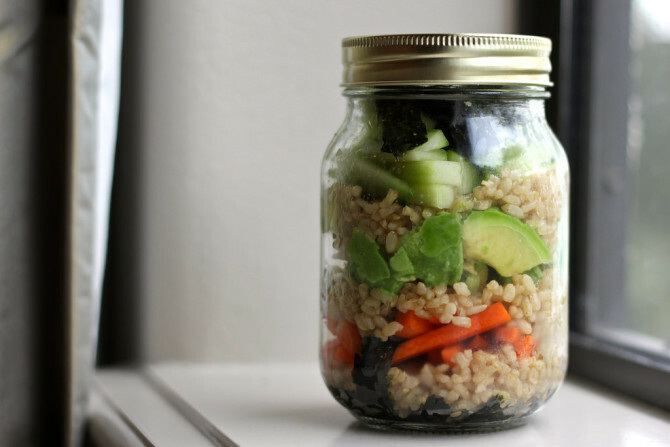 Chop up the ingredients you would find in a veggie sushi roll, like avocado, cucumber, carrot, plus rice and seaweed paper, and load them into a mason jar. Especially if you use brown rice and leave out the meat and dairy, you can enjoy a healthy sushi meal for lunch without the hassle. 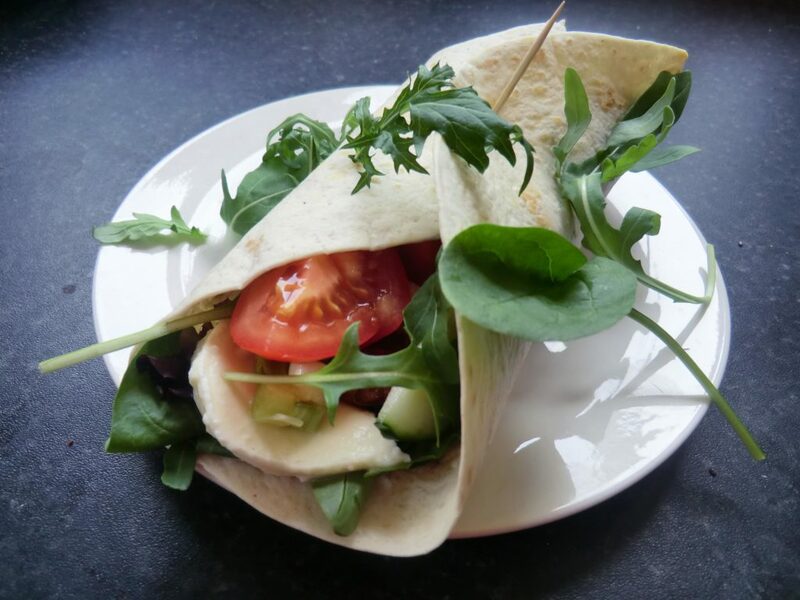 Caprese salad is a delicious taste of summer in the Mediterranean, and this caprese wrap is a healthy and fast update on the traditional salad. Just chop fresh tomatoes and basil and wrap them up with some greens, sun-dried tomatoes, and balsamic vinegar for the perfect summer lunch. 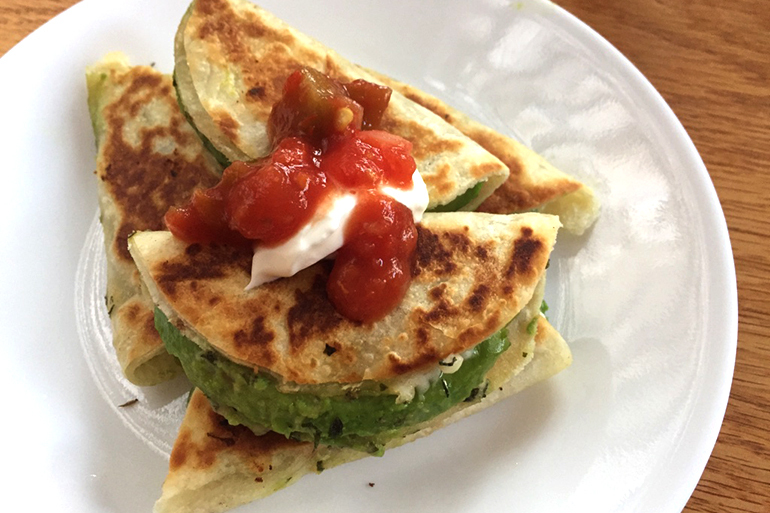 These bite-size quesadillas are surprisingly healthy since they’re made with avocado and hummus, and only take 10 minutes to make. Check out the super easy recipe here. 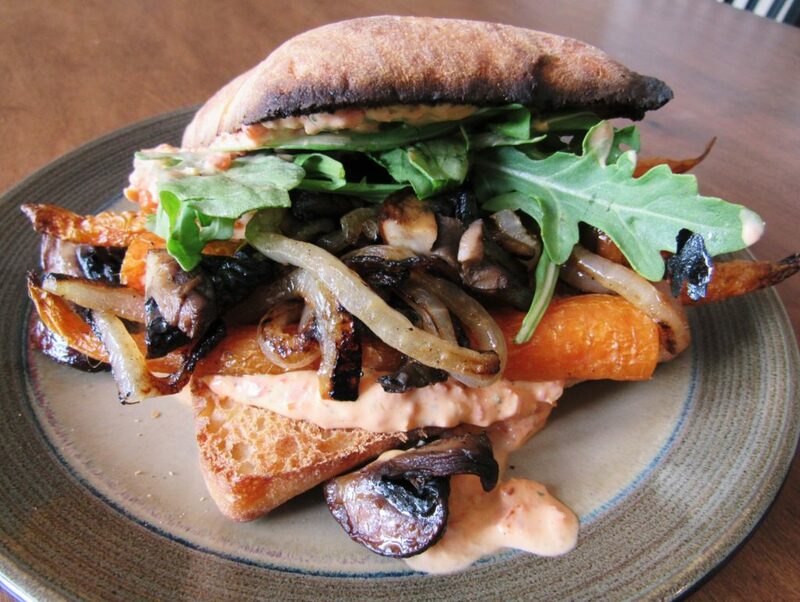 If you have leftover roasted veggies in your fridge and are looking for a way to use them, just toss them in a saucepan with fresh onion to re-heat and load them onto a ciabatta roll with some greens and voila, instant lunch. 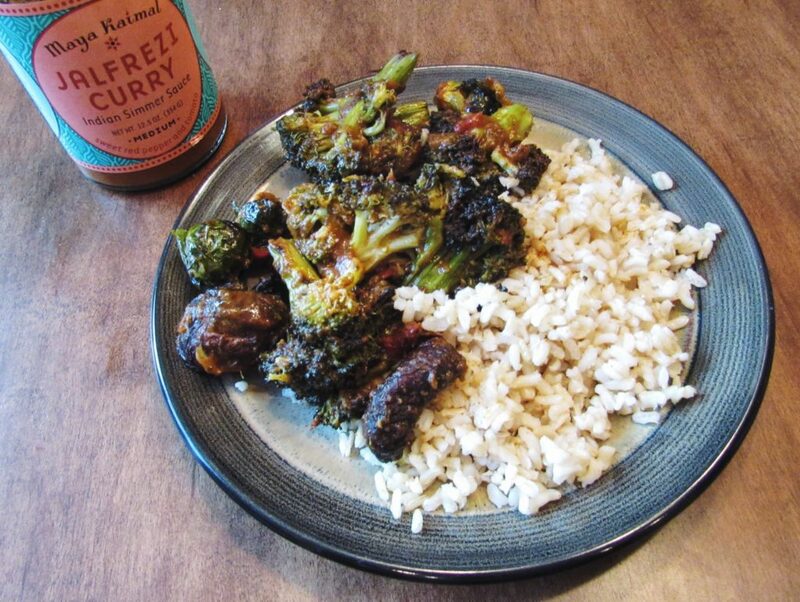 Roasted veggies are substantial and hearty, making them a healthy alternative to deli meat. 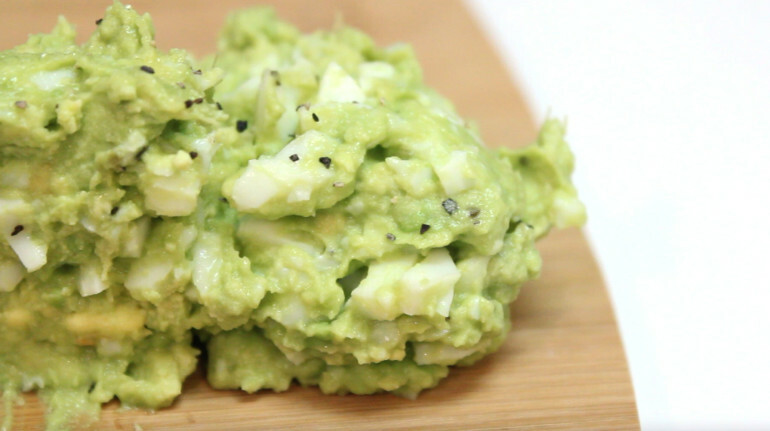 This recipe for avocado egg salad is super fast and yummy, and since it replaces mayo with avocado, it’s a healthier option than traditional egg salad. Spread it on toast or load it into a whole wheat pita for a quick protein-packed lunch.